Penelope Spheeris says that she loved punk rock when she first heard it in the 1970s because "the chaos was attractive and familiar to me." She directed, filmed and organized that chaos, spending time with LA punk bands Black Flag, the Germs, and X among others, for her movie The Decline of Western Civilization. She strived to show everything -- the good and bad -- and let the audience decide how they felt about the people on-screen. The Decline of Western Civilization Part II: The Metal Years focused on the over-the-top lifestyles and big dreams of hair metal bands in the late 1980s. And the third film in Spheeris' Decline series went deep into the world of gutter punks in the 1990s. After many years of VHS-to-DVD bootlegging, the Decline films are now available together for the first time in a box set on Blu-Ray and DVD from Shout! Factory, with a collection of bonus materials and commentaries produced by Spheeris and her daughter, Anna Fox. Spheeris talks to us about the chaos in her own upbringing, the worlds of punk and metal as depicted in her documentaries, and directing a little feature film called Wayne's World. If you liked this, let someone know! Click here to share this interview with a friend. The Sri Lankan-American singer-songwriter Bhi Bhiman encounters some challenges when he goes on-stage. As he tells it, " I have a couple of things going against me. I’m South Asian looking, I’m playing acoustic guitar and singing and as a general rule people just don’t want to see that. But I have to work up hill against that." 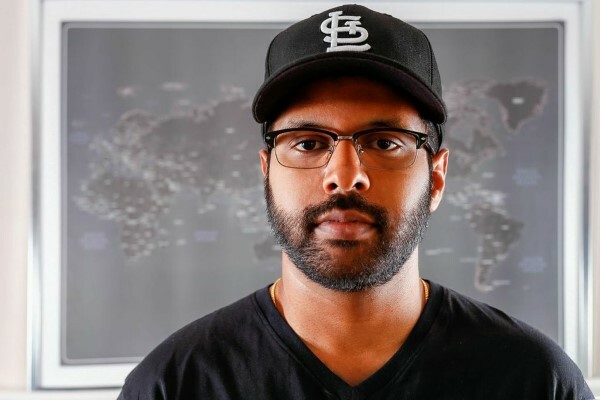 Bhiman's newest album Rhythm & Reason is loosely themed around the immigrant experience, but it's not as earnest as that sounds. He's got a Randy Newman thing going on, too. Bhiman talks to us about not fitting people's expectations of a folk singer with a guitar, his inspirations for the new album, and why he's got love for the Newm. "What does romance mean when you're a fully formed adult human being?" 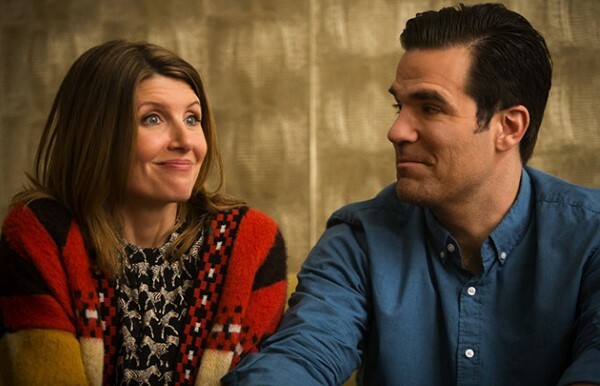 Jesse explains why he's sold on the new romantic comedy Catastrophe. If you liked this, let someone know! Click here to share this Outshot with a friend.